Will Dyson: Australia’s Radical Genius is a superb biography of a brilliant and versatile artist–writer. 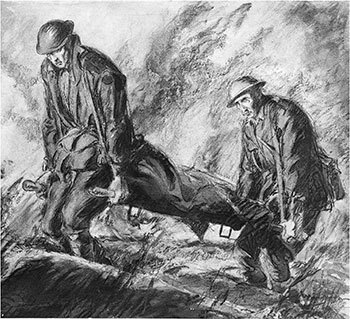 After finding a niche in his homeland elusive, Dyson became internationally acclaimed as a powerful cartoonist, as an etcher, as Australia’s first official war artist, as a writer of prose and verse, and as a scintillating humourist. A stunning overnight success, Dyson was described as the most famous Australian in the world. Absorbing, entertaining and lavishly illustrated, this fascinating biography illuminates the life and times of a remarkable and under-recognised Australian. It was highly commended by the judges of the National Biography Award. Brilliant cartoonist, talented poet, witty conversationalist, passionate nationalist and supporter of the Left: Will Dyson was remarkably gifted. A fiery, outspoken intellectual, as handy with a pair of boxing gloves as he was with a pen, the young Dyson was emblematic of the best Australia had to offer to the world at the beginning of the 20th century. Ross McMullin’s stunning biography entertains, educates and entices the reader to ponder what heights our nation might have reached if we had nurtured and hung on to men such as Dyson … The passion and intelligence with which McMullin traces Dyson’s career, including his unrivalled work as a war artist with the Australian infantry at the Western Front, allows readers to feel that they have in some way encountered Dyson as an artist and a man. This is what biography should be: not just a pallid regurgitation of the facts of a life, but an engagement with that life. Will Dyson isn’t a household name in Australia, but he should be … Ross McMullin is arguably Australia’s most formidable historian, and his book Will Dyson: Australia’s Radical Genius [is] an outstanding work … a first-class biography of an extraordinary Australian … McMullin’s biography cements Dyson’s reputation … truly inspiring reading. Will Dyson was a brilliant and creative individual who early in the 20th century produced some of the most memorable caricatures to be published in Australia and Britain … Dyson was a firebrand in Australian left-wing radical politics, provocative, genuinely funny, endlessly entertaining and committed to his idea of Australia. He internationalised Australian humour and made his soapbox into a world stage … The work here is brilliant, memorable and stands up well to international comparisons. However, unlike many other artists who travelled abroad, Dyson never forgot that he was an Australian and was proud of his working-class background. Will Dyson was a talented artist, a great thinker and orator, a gifted wordsmith and poet and a deeply political being. His satire was biting, his wit was sharp and his work was inseparable from his identity. 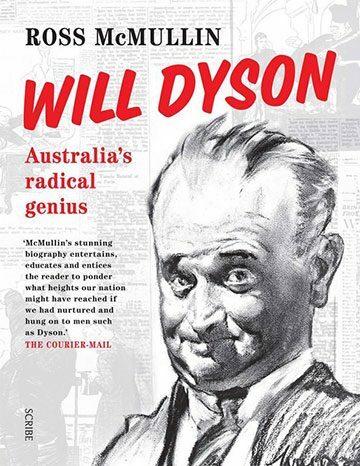 Ross McMullin has drawn a nuanced and thorough portrait … Will Dyson: Australia’s Radical Genius is a biography, a political history, a World War I history and a partial history of Australian art and literature … The many examples of Dyson’s work are also fascinating. 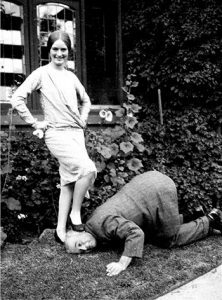 Will Dyson the irrepressible humorist with his daughter Betty after their return to Melbourne in 1925. 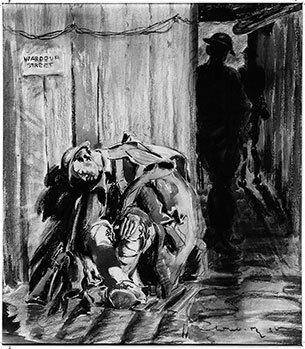 Dyson is certainly an important, often unregarded, figure in the history of political cartooning. The story of this talented, likeable, thoroughly political man is well worth knowing on many fronts: as a saga of early Melbourne working-class bohemian culture, as an example of the invigorating effect on English political cartooning by antipodean artists in the early part of the twentieth century … and as an account of the way that World War I registered on a sensitive, and responsible, Australian imagination … A fractured Dyson eventually returned to Australia in the company of his precocious daughter, Betty … This new edition prints an extraordinary photograph of her, proud and gorgeous, hands on hips, pressing her shoe firmly into the ear of her prostrate father’s adoring, ground-scraping head … It is good to have this absorbing book, from which all the details above derive, back in print. McMullin is especially rewarding to read on the social and wartime background to Dyson’s life. Will Dyson: Australia’s Radical Genius remains a very impressive book. It not only brings to life a remarkably talented individual (Dyson was also a poet of ability, and experimented with his own animation system), it also recreates the era from which he emerged. Jimi Hendrix famously called the blues ‘the reflection of the world’. McMullin shows that biography, at its best, can be something similar. The book is handsomely produced with cartoons and sketches often given generous full-page treatment … It also contains an excellent range of photographs of family (both the Dysons and the Lindsays), friends, the front, and Dyson’s passage through life. Above all, however, are the images of Ruby, especially the delicate refinement and serene beauty of the portrait [that] reminds one of the young Ingrid Bergman. The strength of this book lies in McMullin’s ability to weave together the story of Dyson’s personal, intellectual and professional lives … With this superb biography, McMullin … has resurrected a great Australian and put him back on the pedestal where he belongs. Ross McMullin’s biography of Will Dyson is being widely welcomed … McMullin has responded equally to Dyson’s achievement as cartoonist and artist, and to his ebullient, intelligent and continually interesting personality. Neither the meticulous detail of research nor the careful presentation of contemporary background events diminish the vitality of the subject. In this, surely, lies McMullin’s success as biographer … Dyson’s commitments to causes, his campaigns against injustice, his concern, his wit, his sociability — all these made him very responsive to external events. His biography can therefore be read as a commentary on such matters as conscription, developing nationality, women’s suffrage, Australia’s part in World War I, the dilemmas of the expatriate artist of talent, the growth of radicalism, the Douglas Credit system — and much more. The world had to wait a long time for a proper presentation of Will Dyson, in word and drawings, but when it came, the work was done perfectly — in Ross McMullin’s … book on one of the three greatest cartoonists of the century … a beautifully produced, illustrated and constructed volume … Once the full story is unravelled with Ross McMullin’s skill and sympathy, his real greatness is enhanced … All the more remarkable was Will Dyson’s achievement [before 1914] in producing the cartoons which embody best the spirit of the age … Here enshrined indelibly is what the Suffragette fight felt like, what freshly confident trades unionism felt like … Many of the cartoons from this period can still make us catch our breath, by their poignancy, by their ferocity. In so many ways Ross McMullin’s book is a splendid biography … a thorough piece of research, written in a manner which ensures its accessibility to the wider public. It not only throws new light on Dyson, but also provides a vast amount of information on Melbourne and Sydney’s art, literary and publishing figures … Why Australia failed to keep Dyson when he returned in 1925 is suggested in the book through an elaborate and fascinating account of our attitudes and social climate at that time. Will Dyson, the subject of Ross McMullin’s important biography, … became the most famous and admonishing satirist Australia had produced. In his irony and force he has not been approached as a cartoonist by any Australian then or since … Ross McMullin’s book … is the first major, and welcome, work about this remarkable Australian. The chapter titled ‘The Great War’ is particularly fine.